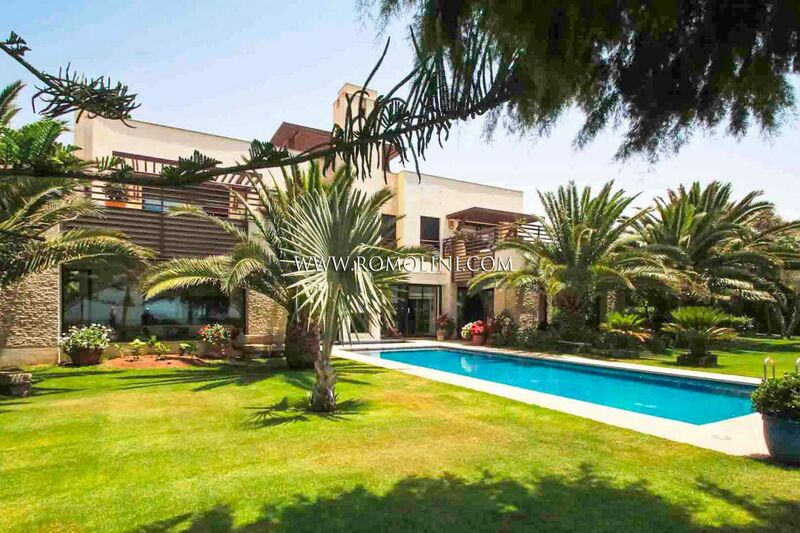 Suchen Sie eine hochwertige Immobilie im schönen Marokko? 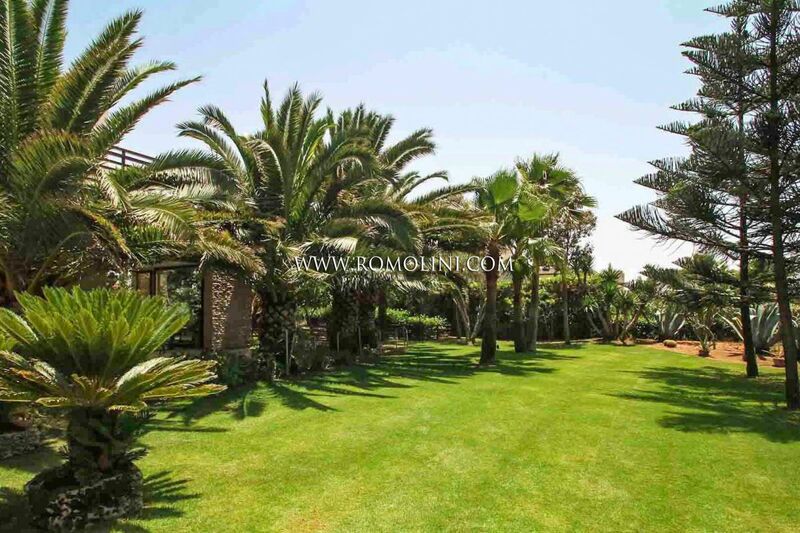 Romolini Immobiliare freut sich, Ihnen eine Auswahl der besten Riads, der besten Villen und der besten zum Verkauf stehenden Immobilien in der Region Casablanca-Settat anbieten zu können. 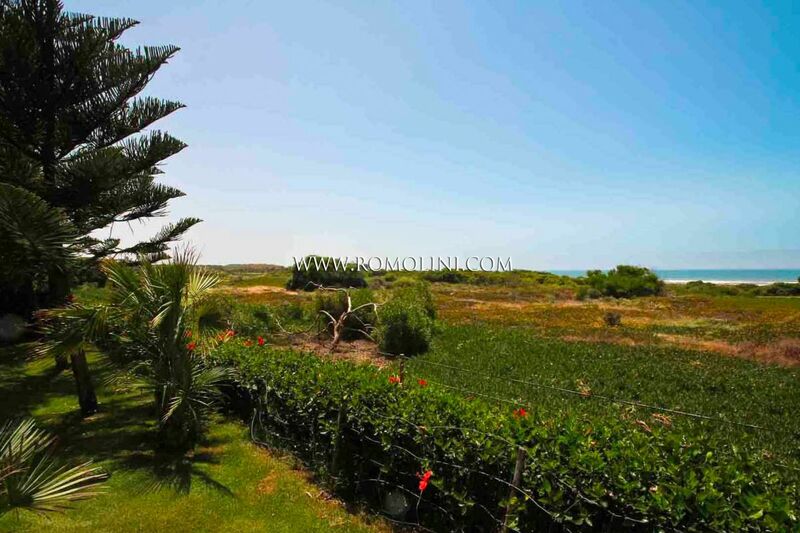 Die exklusiven Standorte dieses Gebiets, das von den Bergen im Osten bis zum Atlantik im Westen verläuft, sind Casablanca, El-Jadida, Lamkansa, Sidi Bennour, Mohammedia, Mediouna und Azemmour. 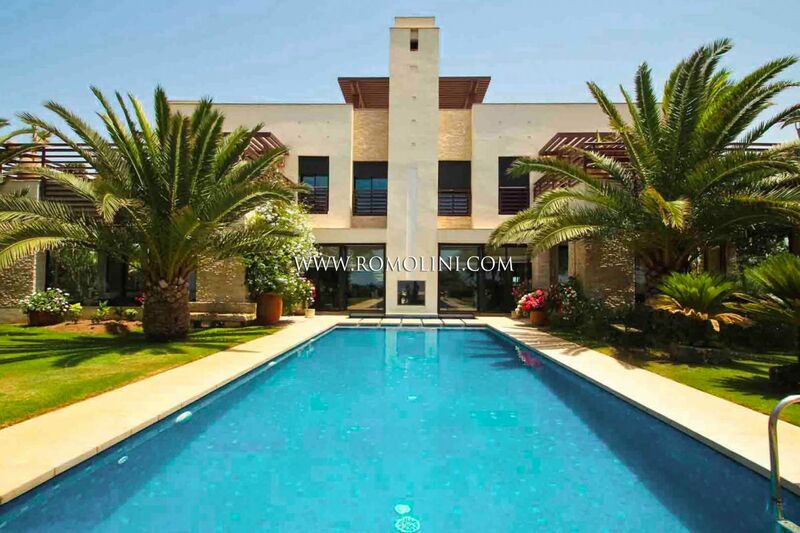 On the Atlantic Ocean, not far from the town of Azemmour and El-Jadida, this beautiful oceanfront villa of 1,341 sqm is perfect for anyone looking for a private luxury home in a high-level residential area (Mazagan Beach Resort) capable of offering numerous services: a 18-hole golf court, casino and tennis court are just a few of them. 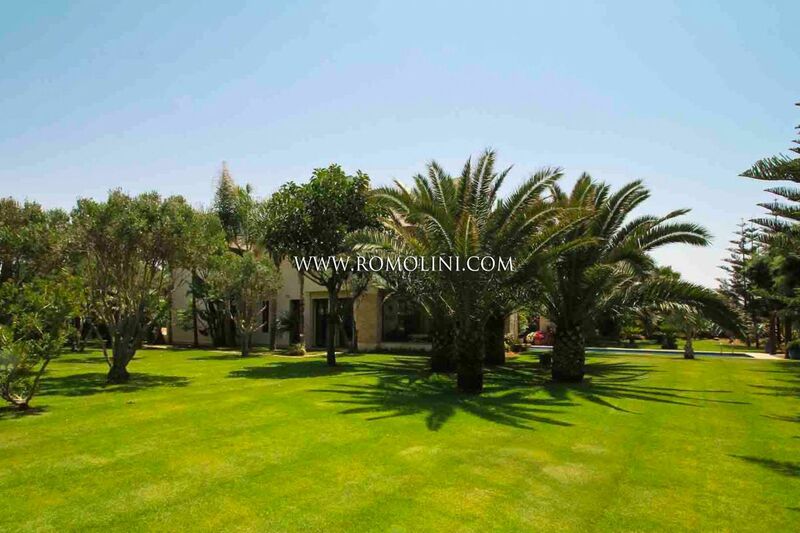 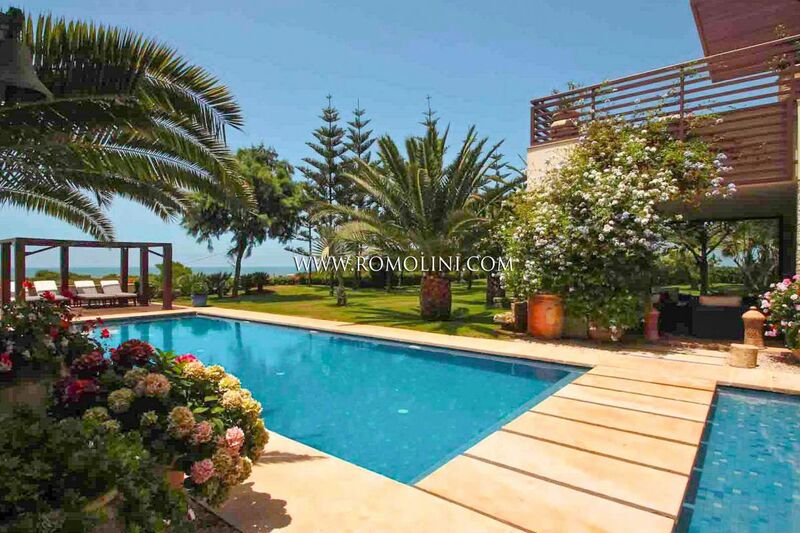 All in all, the villa offers 5 bedrooms and a beautiful garden. 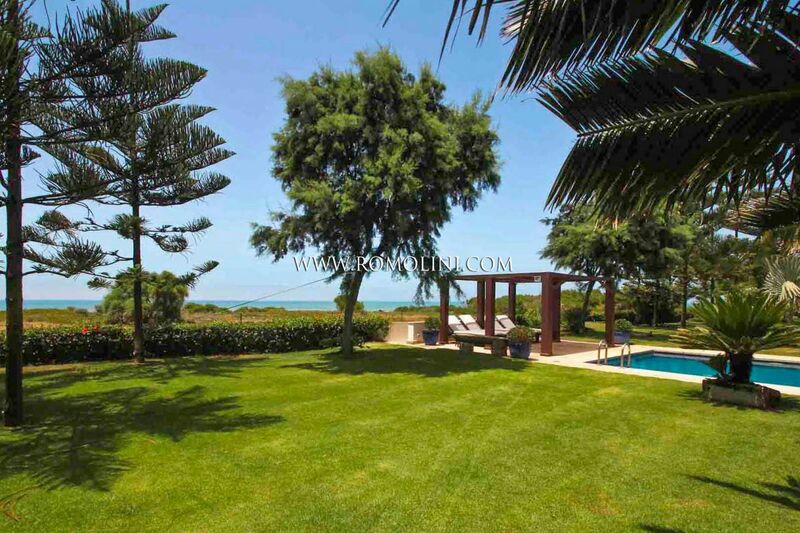 Built in 1965, this seafront villa with garden offers 210 sqm of relaxation and quiet in the sunny Morocco, approximately 1 km from the town center of Oualidia. 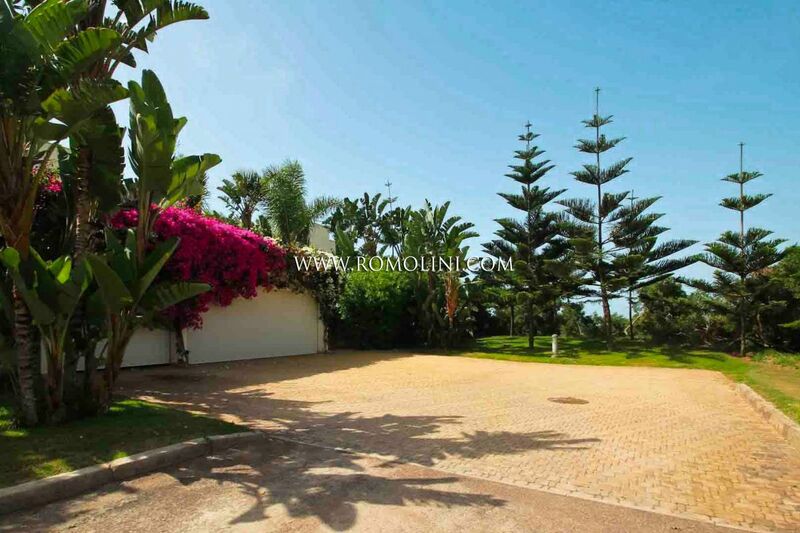 The property boasts a minimalistic style with ample and bright rooms. 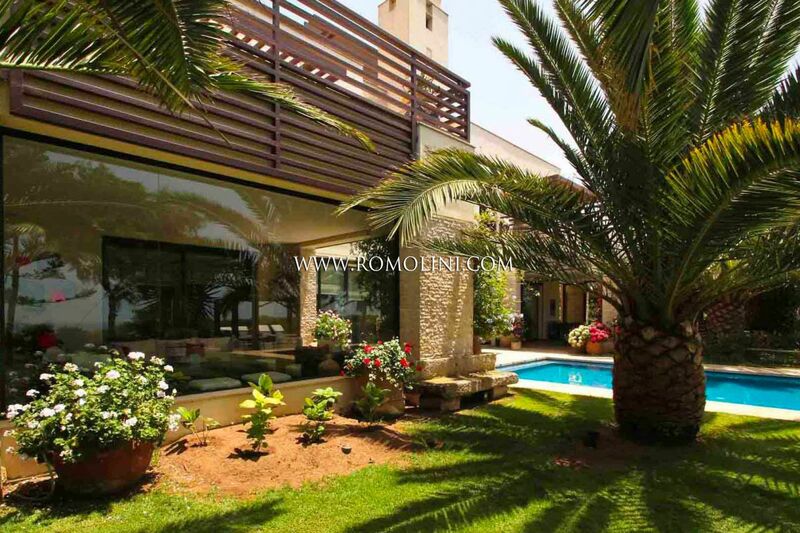 Ample windows offer access to the garden and a superb view over the nearby sea.